Fast, flexible scalable and cost-effective: As a powerful web content and experience management system, Sitefinity facilitates rapid rollout of responsive websites and apps for all end devices. 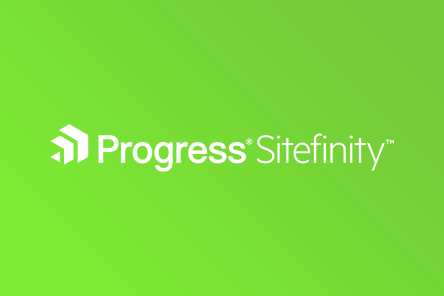 With Sitefinity you can prepare personalized content on the web, guide and analyze marketing actions, optimize the customer lifecycle and generate leads. The Microsoft .NET-based system was developed by Telerik (Progress Software) to satisfy equally the needs of editors, marketing specialists and developers alike. Right out-of-the-box it avails to the user an extensive spectrum of functions that simplify the set-up of modern web platforms by means of interfaces to systems such as Dynamics, Marketo, Salesforce and SharePoint. Sitefinity is constructed modularly, which allows it to be easily integrated as well as expanded later on. With its (integrated) Digital Experience Cloud, Sitefinity offers an efficient, “user story” based tool for marketing automation solutions. By use of various parameters and attributes, it enables targeted online measures, optimized customer experiences, lead generation and rapid measurement of performance success. The system identifies contacts by using specialized procedures (machine learning, predictive analytics, etc.) 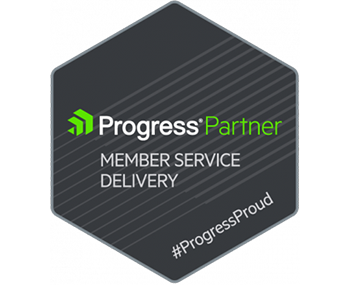 and supports marketing automation during all aspects of your online projects. UEBERBIT is a solution partner of Sitefinity and already has five in-house application developers who are certified as Sitefinity Developers. The system has been employed continuously for web content management since 2014 in the "Gartner Magic Quadrant" – an international market study run by the research house Gartner Inc., which is published annually. Gartner Inc. evaluates leading CMS solutions via the criteria “Completeness of vision” and "Ability to execute". If you would like to learn more about the possibilities of Sitefinity, then let’s get together and talk. We will gladly show you all the things the system is capable of.